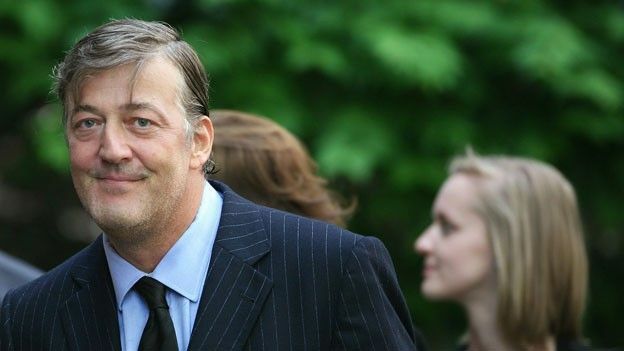 Stephen Fry on Steve Jobs: "I'm glad I didn't work for him"
Self confessed Apple tech fan, Stephen Fry has written in detail about the tragic loss of Steve Jobs, the former Apple CEO who passed away at the age of 56 after losing his long battle with illness. Having earlier reacted to Jobs' passing on Twitter, Fry took to his official blog to pay an emotional tribute to the man responsible for the Apple Mac, iPhone, iPad and iPod range of devices. In a lengthy post, Fry spoke of the difficulty to sum up the the life of Jobs, saying: "He wasn't a brilliant and innovative electronics engineer like his partner and fellow Apple founder Steve Wozniak. "Nor was he an acute businessman and aggressively talented opportunist like Bill Gates. He wasn't a designer of original genius like Jonathan Ive whose achievements were so integral to Apple's success from 1997 onwards." Fry continued: "He wasn't a software engineer, a mathematician, a nerd, a financier, an artist or an inventor. Most of the recent obituaries have decided that words like “visionary” suit him best and perhaps they are right." While Fry confesses to have only bumped into Jobs "from time to time", he has also referred to the Apple boss as, "always warm, charming, funny and easy to talk to." Fry also speaks fondly of having been in the company of Jobs when the former Apple CEO demonstrated the iPad before it was released and was similarly flattered to be approved by Jobs to write a profile on the 'revolutionary' device for TIME magazine. And he touches on the topic of Jobs being renowned as a tough man to work with, saying: "I am very glad that I did not work for him," adding that, "the sheer magnetic force of the man made his many faults a forgivable and almost loveable part of his mystique and greatness." It was the following words from Fry which will perhaps resonate with the millions of people who have bought Apple products and will likely queue up to buy the iPhone 4S next week saying, "The quality I especially revered in him was his refusal to show contempt for his customers by fobbing them off with something that was “good enough”. Whether it was the packaging, the cabling, the use of screen space, the human interfaces, the colours, the flow, the feel, the graphical or textural features, everything had to be improved upon and improved upon until it was, to use the favourite phrase of the early Mac pioneers “insanely great”. You can read an extract of Stephen Fry's blog post here and hit the link below to read it in full.